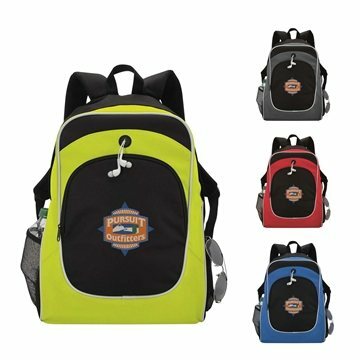 This backpack is great for back to school with it's large zippered pocket and headphone port for music on the go! the logo looks beautiful! the price was pretty what I expected. I am satisified with the order. Product looks great and great value Product was perfect! Great customer service too! the representative was very knowledgeable and pleasant to work with. Couldn't ask for better customer service.